The word bedding is a noun. Bedding means (1) coverings that are used on a bed, (2) material used to provide a bed for animals. The following articles and web pages elaborate on the word bedding. 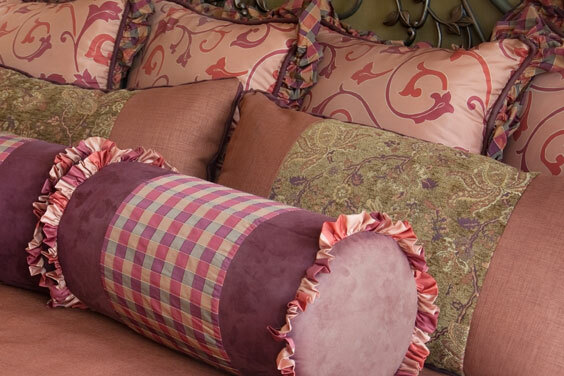 This informative article reviews the history of bedding and describes, in tabular form, the components of contemporary bedding products. Browse this bedding supplier directory for information about bedding manufacturers and distributors in the USA. The photograph on this page depicts rumpled gray pillows and sheets on a bed. Down is the natural insulating layer found under the feathers on ducks and geese, and makes for very comfortable bedding! Down comforters are naturally warm in the winter and cool in the summer. Browse this waterbeds retailer directory for information about waterbed retailers in the USA. The photograph on this web page depicts a hard-sided waterbed with bedding. The following articles provide recent bedding-related news. Reuters. Monday, 22 Apr 2019 15:59:00 -0400. High-end bedding producer Hastens will be opening a new store in Tyson’s Galleria later in the summer. Furniture Today. Friday, 01 Mar 2019 15:00:00 -0500. By Sara Bliss, Contributor. Forbes. Thursday, 21 Feb 2019 17:02:00 -0500. Peter Stubley. The Independent. Friday, 02 Nov 2018 12:33:00 +0000. Langley RCMP are asking the public to help locate bedding removed from the crime scene. CBC News. Wednesday, 4 Apr 2018 17:36:29 EDT. The following digital image illustrates the word bedding.